PHOTO PROVIDED Mr. McFeely will arrive by trolley and visit with the children. BELLEFONTE – Mister Rogers’ Neighborhood is coming to our neighborhood. It’s sure to be a beautiful day when the neighborhood from the groundbreaking children’s television show will be the theme for an afternoon of children’s activities. 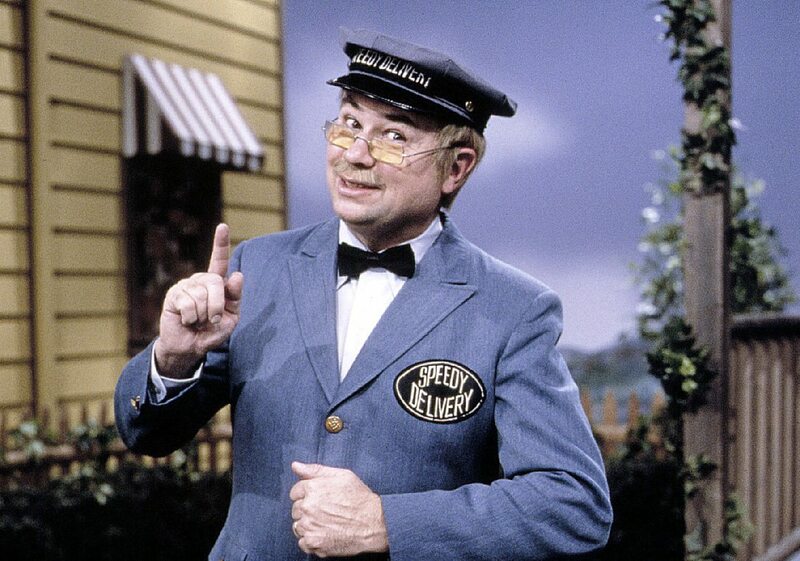 The special day will include a very special guest – Mr. McFeely, who was the postman on the PBS show that is celebrating its 50th anniversary this year. The American Philatelic Society and WPSU-TV, State College public television, invite everyone to the American Philatelic Center, 100 Match Factory Place, Bellefonte, to celebrate Mr. Rogers’ Neighborhood and a new stamp issued in his honor. 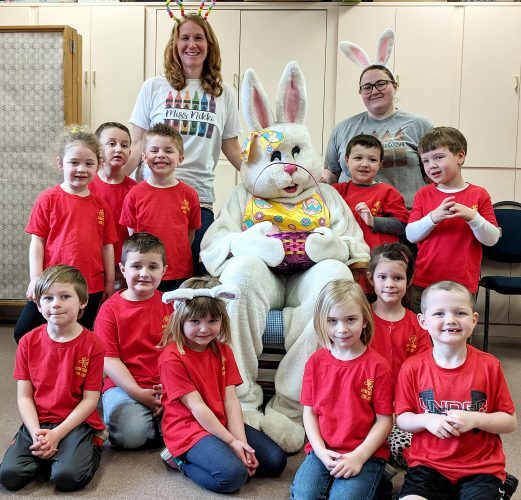 Activities for the whole family will take place from 2 to 4 p.m. Saturday, March 24. The event occurs the day after the new Mister Rogers forever postage stamp will be formally released in Pittsburgh, Pennsylvania, where Fred Rogers produced and filmed the show about his neighborhood. The show ran for more than 30 years on PBS. Mr. McFeely – the postman from the Speedy Delivery Service portrayed by David Newell – will be in character. He will arrive aboard the Penn State trolley and invite everyone inside, where at 2:15 p.m. he will dedicate the new Mister Rogers stamp to become part of the American Philatelic Center’s collection. He will then visit with children and sign autographs. Other planned activities include an opportunity for children younger than 12 to color a design on an envelope, address it to someone special, affix a stamp to the envelope and mail it (limited one per child). The APS, through its historic Headsville Post Office, will have Mister Rogers stamps available for purchase. WPSU will bring its cutout trolley, reminiscent of the Mister Rogers’ Neighborhood Trolley, which is a nice backdrop for photos. Also, Daniel Tiger, star of an animated Mister Rogers spinoff show, will be present via a life-size cutout (more photo ops). These are set pieces that WPSU uses in live broadcasts. WPSU will hand out Daniel Tiger’s Neighborhood Activity Booklets to children 8 and younger along with Daniel Tiger’s Neighborhood coloring sheets. In addition to decorating and mailing an envelope, the APS Education Department will offer other stamp collecting activities, including an opportunity for children to create their own free stamp albums. Children of all ages will be able to reminisce as we share video clips of Mister Rogers Neighborhood during the event. Tours of the American Philatelic Center will be available. “Fred Rogers was always addressing two audiences. First, he offered children lessons about friendship, emotions and growing up. And he also offered parents simple strategies for helping their children grow and thrive: how to talk to kids, how to listen, and how to use song, story, and make-believe to communicate important ideas. The American Philatelic Society is the largest non-profit organization for stamp collectors in the world with about 28,000 members in more than 110 countries. Founded in 1886, the APS serves collectors, educators, postal historians and the general public by providing a wide variety of programs and services. The society is entirely supported by membership dues, gifts, and the sale of publications, souvenirs and services. Public broadcasting station WPSU Penn State is a collection of innovative writers, storytellers, teachers, producers, designers and technicians — using 21st-century tools and media to bring information, education, and entertainment to viewers, listeners, and larger communities throughout Pennsylvania and beyond. WPSU engages communities in the heart of Pennsylvania with educational and commercial-free programs that reach across generations to inform, intrigue and inspire.